LOVE LOVE LOVE (2016 / 2073) is the Nepali movie made under the banner of Suraj Cine Arts. The movie stars Swastima Khadka, Suraj Pandey, Desh Bhakta Khanal, Ramesh Budhathoki, Rupa Rana. etc in the lead role. The movie is based on the love story featuring Swastima Khadka, who debut her movie career from super-hit movie Hoster Returns, then after she get married with Nischal Basnet, the maker of super-hit movie LOOT. This is her first movie after her marriage. Along with her another new actor Suraj Pandey will be in the lead role. Dpendra K Khanal, the director of movies like PASHUPATI PRASAD, CHAPALI HEIGHT 2, VIGILANTE (Also know as Nepali First 3D movie) is the writer and director of this movie. 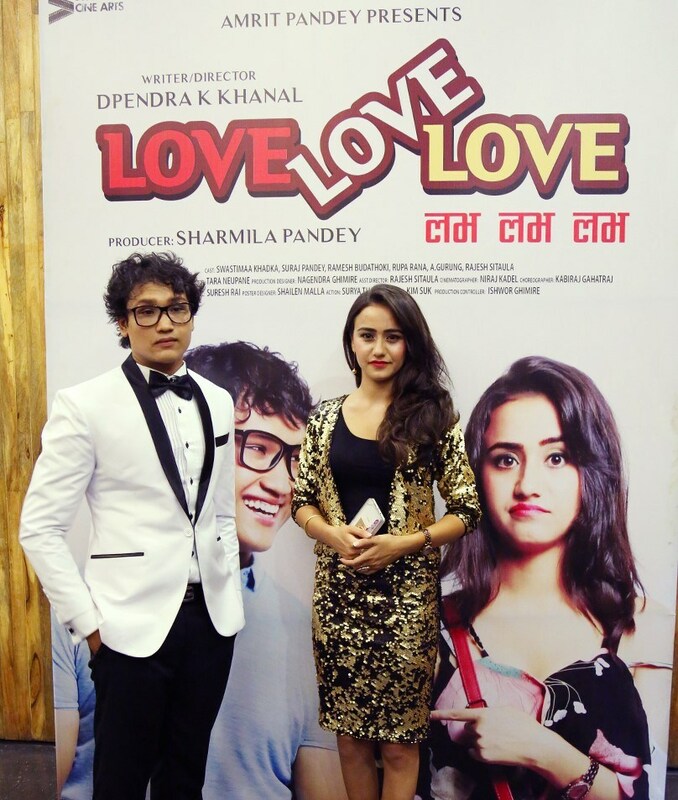 Suraj Cine Arts presents, Nepali movie LOVE LOVE LOVE starring Swastima Khadka, Suraj Pandey in lead role. The movie release date is not finalized yet. 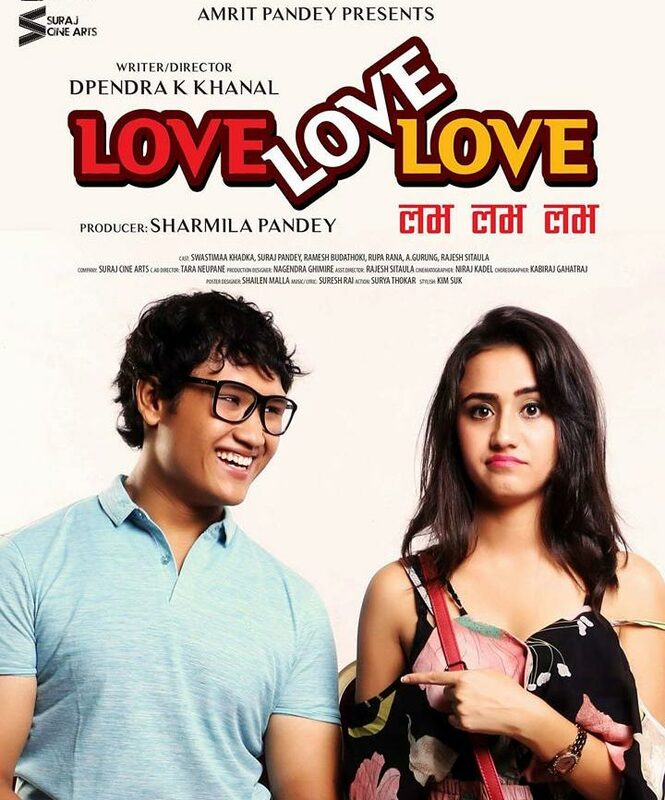 Suraj Cine Arts presents, Nepali movie LOVE LOVE LOVE starring Swastima Khadka, Suraj Pandey in lead role.